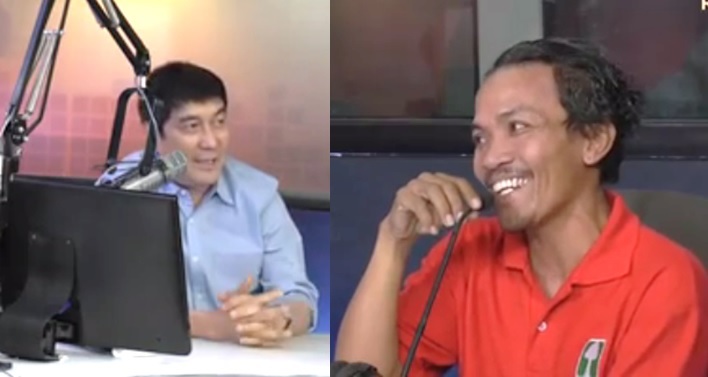 MANILA, Philippines - Broadcast journalist Raffy Tulfo has decided to reward Roberto Elliot, an honest taxi driver who went out of his way and appeared in his show a few weeks ago to return an iPhone left by his passenger in his vehicle. 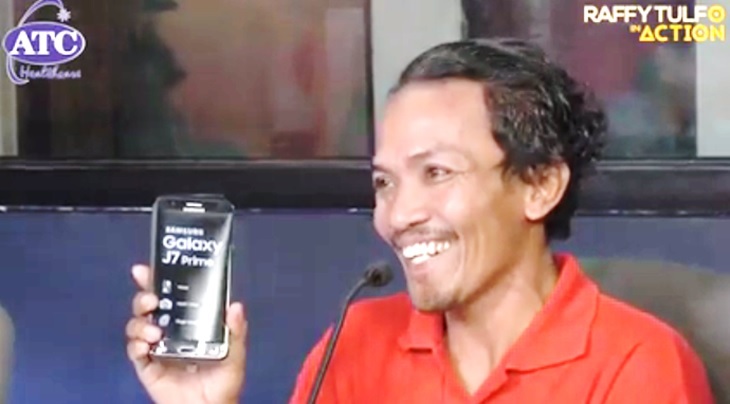 The honest man’s act of kindness was recompensed with a brand new Samsung Galaxy J7 and accessories from CELLBOY as well as P15,000 cash so his family could take a vacation in Bicol this Holy Week. “Gawin kong P15,000. Yung P5,000 yun ang pamasahe mo kasama na ang pamilya, round trip na yun. Yung P10,000 yun na baon niyo. Ok na makakauwi ka na at ihahatid ka namen sa bus,” Tulfo said. After learning that Elliot will be using their services, the Bicol Isarog bus company decided to shoulder his family’s bus fare to Bicol. This meant that the P15,000-cash prize can be used entirely as pocket money for their vacation. Elliot became a social media sensation after returning the lost iPhone SE to a rude passenger who failed to appreciate his efforts. Instead of thanking Elliot and showing gratitude, Luigi Lim blamed Elliot for not returning his phone immediately. According to Lim, Elliot could have returned the phone earlier as the delay caused him to lose a lot of business opportunities while vacationing in the Philippines. “Sana pag may nawala na gamit maisauli kasi madali naman po may number naman po,” Lim said during the radio show. Elliot explained that he was unable to return the phone immediately because he didn’t know how to use it. Disappointed by Lim’s reaction, Tulfo lambasted the iPhone SE owner for being ungrateful. “May pinag-aralan ka. Ito wala. Di niya alam ang sistema. Ang hirap sayo eh imbis na matuwa ka eh pinipikon mo ako eh. Itong tao, he is being honest, he is being kind. Nag-abala pa siya pumunta dito. Wala siyang kaalam-alam kung pano magpindot sa mga cellphone na yan, pagagalitan mo pa siya, pahahagingan mo pa siya. Bastos ka naman,” Tulfo told Lim.